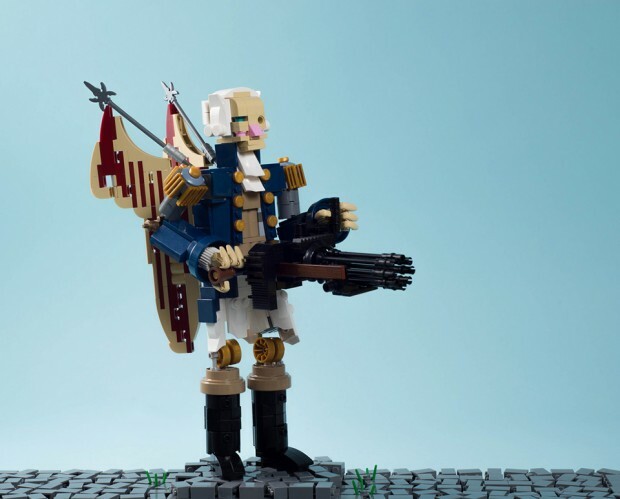 This LEGO model of the Motorized Patriot from Bioshock Infinite is a testament to the technical prowess and power of Carl Merriam. He made it as part of his Iron Builder battle with Pepa Quin, who if I remember correctly is another famous and talented LEGO enthusiast. Fukui-san! Sky-Hook to Carl’s Flickr page to see the LEGO Motorized Patriot in all its glory.